GET 1€ back for each full pack of six, add to cart to view discount Quick and easy setup of quantity rules. You need more detailed configuration? 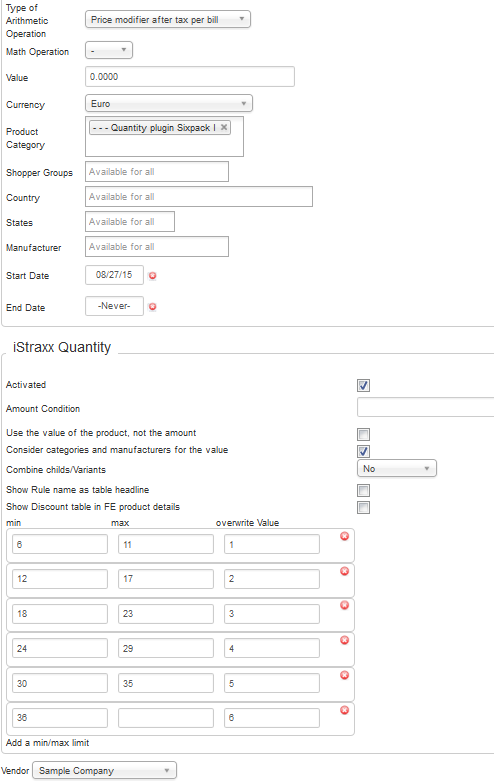 - Find all details in our tutorial section Features: Product discount Cart discount Discount range table Combine product variants Discount per amount or value Easy override of plugin template Full VM integration.